Paula’s Choice Lip Perfecting Gentle Scrub: How Useful Is It? Paula’s Choice Lip Perfecting Gentle Scrub is a lip scrub meant to heal chapped lips while making them silky-smooth. It uses micro-bead technology to carefully exfoliate the damaged layers of your lips and a scientifically designed cream to add moisture back into the lips. This removes any possible irritants from the lips and gives them a dose of vitamins and moisture needed to stay healthy. This product may be used on its own or used as part of your preparations for putting on make up or other products. Paula’s Choice Lip Perfecting Gentle Scrub uses very few ingredients. Almost all of them are completely natural. Paula’s Choice Lip Perfecting Gentle Scrub’s natural and organic compounds include, most importantly WATER. The most important thing your lips need to keep from getting dry. This moisturizing power of water is boosted by grape seed oil &shea butter which help distribute moisture efficiently throughout the lips. Paula’s Choice Lip Perfecting Gentle Scrub also includes cellulose gum, glycerin, and allantoin which work to prevent irritation and shield the lips from further damage. Embedded in this cream is thousands and thousands of tiny, rough plastic micro-beads which creates the exfoliating action of the cream. Paula’s Choice Lip Perfecting Gentle Scrub works best if you begin by cleansing the skin of your hands and lips. With this product you need only implement a small amount to the lips. A rounded scrubbing motion will activate the exfoliating micro-beads. This should continue for approximately thirty seconds. After you have scrubbed, wipe off the scrub with a wet washcloth. You should feel the refreshing results almost immediately! There are two things to be wary of with Paula’s Choice Lip Perfecting Gentle Scrub. First is overuse- applying the scrub too roughly, to often, or for too long may further harm already sensitive and injured lips. The second is a word of warning about the micro-bead technology. Unlike the other ingredients in Paula’s Choice Lip Perfecting Gentle Scrub, micro-beads have been found to be potentially damaging to the earth’s ecosystems. Depending on where you live, they may even be illegal. However, be assured that they are absolutely no harm to your health or wellness. Online reviews speak very highly of Paula’s Choice Lip Perfecting Gentle Scrub. They most often extol its organic components. Speed of application, only thirty seconds, is another oft-repeated praise. The biggest disagreement seems to come from the delay between application and results. Many saw immediate results, some had to wait days or even as long as two weeks before results appeared. 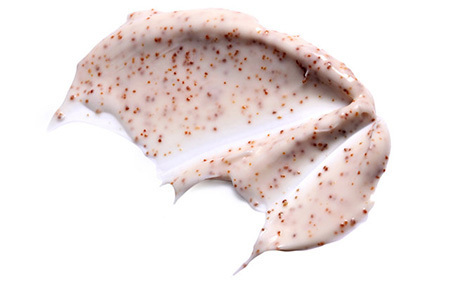 The only negativity seems to stem from the product’s use of microbeads. This product is very effective for damaged lips. It seems to be a favorite with online reviewers who have many positive things to say. The price of this product is very affordable, so it is definitely worth judging for yourself.